High-precision robot arms: Mulco sales partner REIFF supplies technical products using BRECOFLEX polyurethane timing belts perfectly suited for the high demands of the four-axis Pick-and-Place robots TLM-F4. 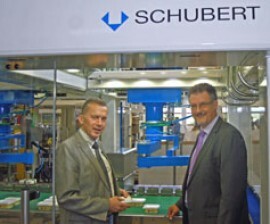 The first packaging robots of the world were created in 1984 by Gerhard Schubert GmbH. Due to its many years of experience using servo drives, this Crailsheim-based company has remained the market leader in digital packaging machines and packaging plants. Nowadays you can visit the packaging museum in Heidelberg to see the humble beginnings of this company, the SKA, the first box erecting and gluing machine working with hotmelt built in 1966. The success story of TLM packaging machines made by Gerhard Schubert GmbH hinges on the year 1976. This was the year when the company decided to develop packaging robots. Their vision was to build the most flexible packaging machine in the world. In the mid-80s, the use of bionics proved to be a perfect choice, providing simple mechanics, replaceable tools and an intelligent control system – though, of course, the control system played the most important part. 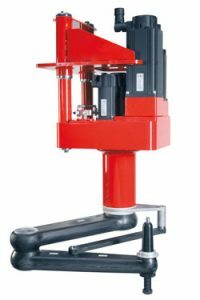 When the first TLM packaging machines were shipped in 2000, the company’s founder Gerhard Schubert had made his vision a reality by building relatively simple machines using standard components in a torsion-resistant machine cell. 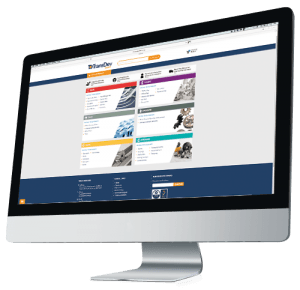 Purchasing manager Reiner Weidmann, whom we interviewed about the company, its machines and its philosophy, knows what being a leader in technology and the market means in day to day business: “Highly modern technology, developed by us. Top quality. Shipping reliability. Prices in line with the market”. Polyurethane timing belts made by the Mulco manufacturer BRECO Antriebstechnik are used in almost all Schubert products. The company based in Porta Westfalica is closely involved in the development of the sometimes highly complicated drive and transport solutions. The cooperation supervisor of Schubert GmbH is Jürgen Lawrenz, applications engineer at the Mulco foundation member REIFF Technische Produkte GmbH in Reutlingen, a family company with over 100 years of experience and tradition. Schubert’s highly flexible TLM packaging machines can package all kinds of products from all industrial sectors in a manner that is elegant, simple and easy to understand. Schubert has organised the industrial sectors it works with into 8 categories: Pharmaceutics, cosmetics, drinks, food, confectionery, frozen products, dairy and technical products. If one machine frame includes two F4 robots, this is called a TLM-F44 picker station. We notice the black arms encased in carbon at the bottom of the F4 robot. Jürgen Lawrence explains: “These arms contain well-encased, highly precise and relatively long but narrow BRECOFLEX polyurethane timing belts”. These high-precision timing belts are produced by BRECO in an extremely sophisticated procedure. BRECO even calls them “the limit of what is currently possible”, Jürgen Lawrenz adds. For this reason, measuring units have been installed both at Schubert and at BRECO, which are regularly coordinated. Purchasing manager Reiner Weidmann adds: “The example of polyurethane timing belts shows our understanding of quality and performance at prices in line with the market. Schubert, Breco and Reiff worked together to develop these high-performance timing belts and use them as a solution for these machines.” In fact, Schubert, Reiff and Breco have been cooperating for decades.